The Republicans will rally around their ticket on Thursday in Orlando. 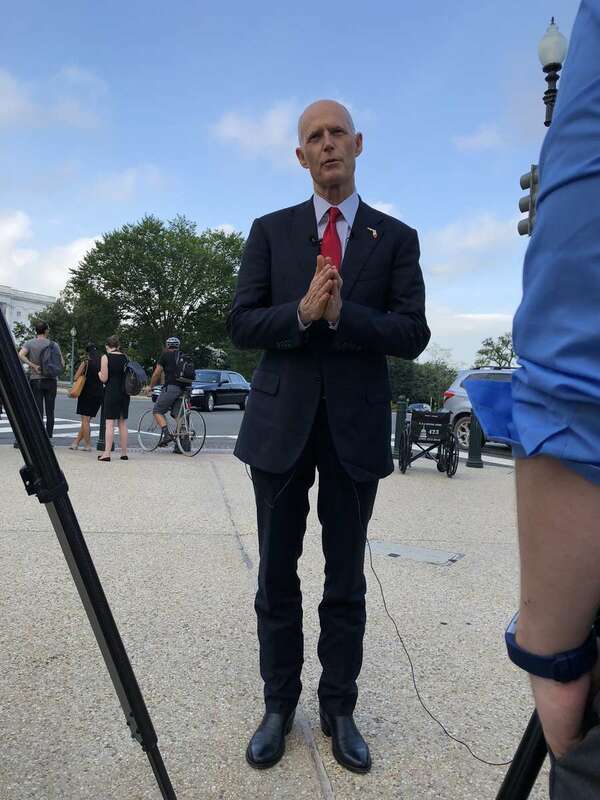 Rick Scott, Ron DeSantis, Matt Caldwell and other Republicans will hold a unity rally next Thursday in Orlando. Adam Putnam, who was defeated by Trump-backed DeSantis, will attend, a spokeswoman said. Democrats this afternoon were holding their own rally, also in Orlando, featuring Andrew Gillum and Bill Nelson, Sean Shaw, Nikki Fried and Jeremy Ring.